The Heinz Company and Kraft Foods Group of the US have agreed to merge. The new firm will be called the Kraft Heinz Company and is expected to the fifth largest food producer in the world. Brazilian private equity firm 3G and Warren Buffett’s Berkshire Hathaway Inc. will acquire Kraft and merge it with Heinz adding a $10 billion investment in the newly combined company, the companies said in a statement Wednesday. Heinz shareholders will receive 51 percent of the stock while the shareholders of Kraft will receive 49 percent as well as special cash dividend equal to $16.50 a share. The new company will have annual revenue of roughly $28 billion. Kraft Heinz will own eight brands with the sales of more than a billion dollars, and five brands between $500 million-$1 billion, the statement says. 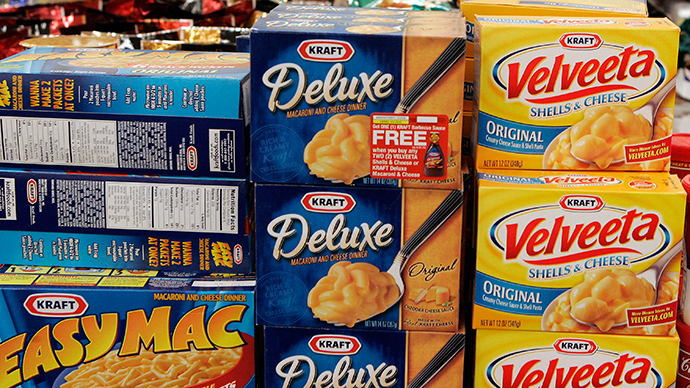 On Tuesday Kraft Foods was valued on the New York Stock Exchange at $36 billion. The merger process will be completed by 2017. After concluding the deal, Kraft Heinz Company plans to maintain the level of dividends for Kraft shareholders, which are later expected to grow. Kraft Foods Group was part of the global snacks manufacturer Kraft Foods Inc. until June 2012, when the parent divided into two independent companies, Kraft Foods Group and Mondelez International. In June 2013 3G Capital together with Warren Buffet’s Berkshire Hathaway Inc. acquired ketchup manufacturer Heinz for $23.2 billion. They also own about 70 percent of Burger King, one of the world's largest fast-food chains. Later in August, 3G Capital acquired the Canadian coffee chain Tim Hortons through Burger King for $11.5 billion. Berkshire Hathaway provided $3 billion to 3G Capital to swing the deal.